Luckily I got another clear night so soon and I could try out my very long exposures. 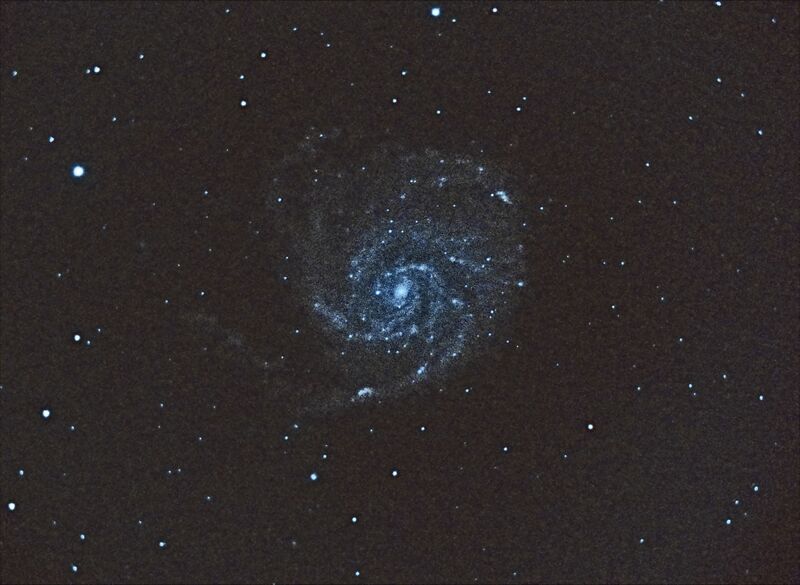 Since I wanted to finish the M101 project, I decided to use the night only for that. I wanted 10 minutes frames, and some more 5 minutes frames. With the autoguiding error maxing out at 0.3 pixels (a third of a pixel) I was very confident I could get whatever exposure time I wish, which is a felling I never had before, always afraid my polar alignment was not precise enough. But, well… the down side of very long exposures, are very clear. It takes longer time. And it is a LOT longer time to get all the frames for stacking. So this is also my record exposure time of more than 3.5 hours. This picture was way easier to edit than the one before it. Since the details of the galaxy was already way more visible. I had also much less noise, since I had more frames to stack. I particularly like a lot of the faint long leg of the galaxy, at the botton left of the image. Detail that was not present on the later picture. 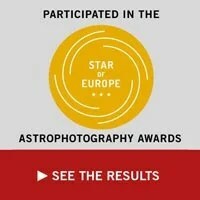 I am also thinking about the advantages of having different exposure times, to make a HDR photo. Maybe for Andromeda Galaxy, and Orion Nebula, it makes sense, since it has a very long range of magnitude. But for M101, I would probably have a better result only getting several 10 minutes exposures extra, with the time I spend taking the shorter 120 and 300 seconds exposures. Another thing to help make better images, is the Blink feature of PixInsight. It shows all frames in a “gif” like format. One after the other. 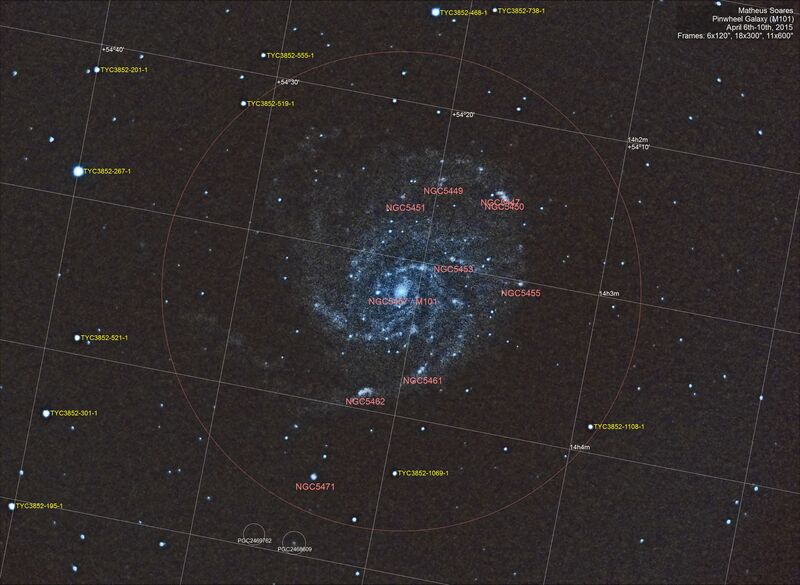 This helps to find issues with the star alignment, and find artifacts caused by some pass by satellite or airplane. CloneStamp helps to remove said artifacts and not to lose the frame completely. And also CloneStamp helps a lot to make good galaxy masks to use in the post-processing. Jupiter, the king of planets.